Feedback or comments? 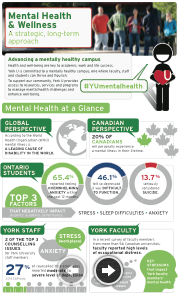 Any ideas or questions about mental health at York University that you have for the steering committee? Let us know. Please note: If you are a student looking to book an appointment with a counsellor on campus, you should visit CDS, located in N110 Bennett Centre to book your first appointment. A representative will respond to your message within 5 business days.